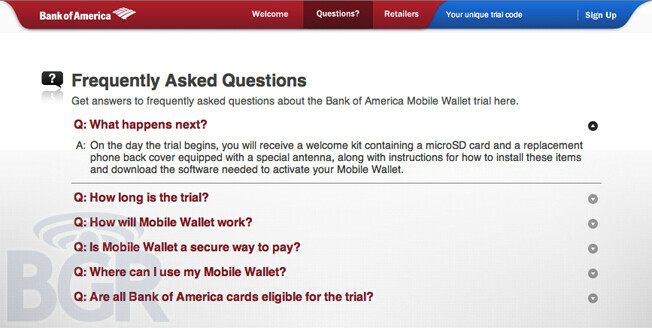 Bank of America is starting an "by invitation only" trial of its Mobile Wallet program. 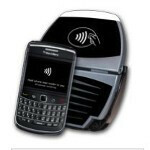 The trial is open to owners of certain BlackBerry devices with a Bank of America debit or credit card. The service allows shoppers to "tap and pay" while checking out of a participating retailer. 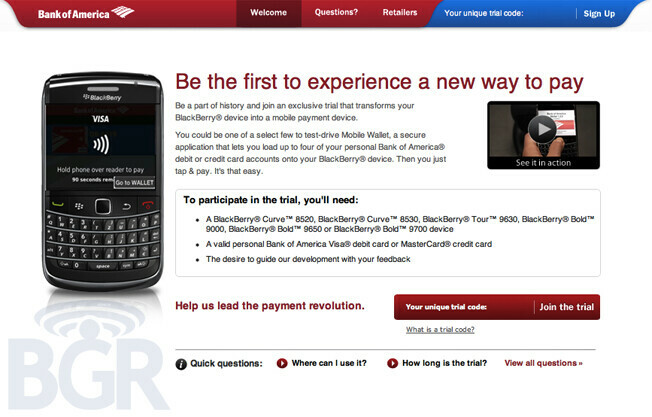 To join the trial, you must own a BlackBerry Curve 8520 or 8530, a BlackBerry Tour 9630 or a BlackBerry Bold 9000, 9650 or 9700 with the ability to download apps. Those testing the program will be able to make their 'Berry NFC enabled with a special battery cover (with a hidden antenna) and a microSD card. You must also have a Bank of America Visa debit card or a Bank of America Mastercard credit card. The trial is expected to begin in the Spring and will work wherever you find Mastercard's PayPass accepted. Those who are invited to join the trial will receive an email from where they can opt in to the program. blackberry has to do something to get back some of their customers(or hold onto the ones they have).